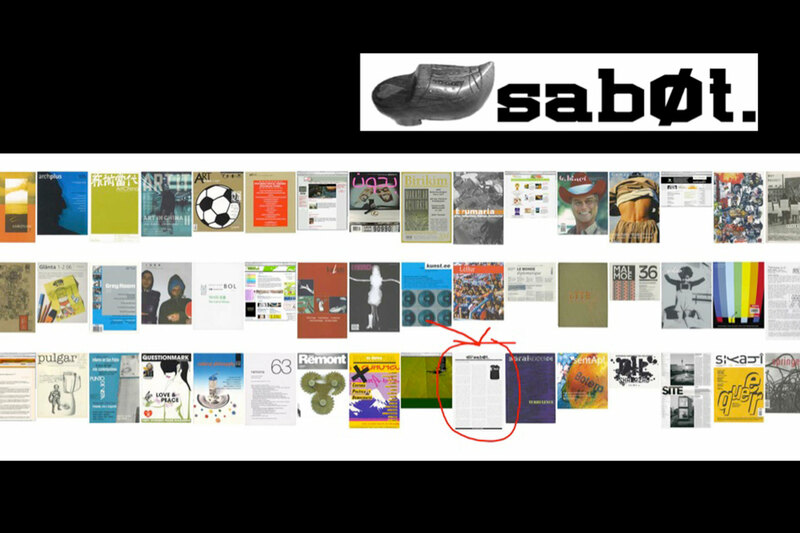 Sab0t (Mexico City) deals with art, activism, experimental narrative, and media and network culture. It is edited online in the collective use of open source software. Sab0t is one of the projects of possible worlds, an economically independent initiative and an independent web service provider. Possible worlds includes a virtual community, online television, a media archive, a library, a net label and a series of international conferences on cultural production and political networks. The printed brochure that I collaborated with appeared in Documenta 12 and Reading South, open environments to profile a collection of independent contemporary art publications from around the south.